This is a completely customized firefighter climbing ladder to save bride wedding cake topper ordered by one of our customers. Actually it is a total surprise for the groom. Weddings are always so focused on the girls and the bride wanted to have something for him. She would like the groom to be in his firefighter uniform, wearing his black firefighter helmet, climbing up the ladder, reaching one hand up to bride, other hand on ladder. For the bride, she would like her figurine to be in her ivory dress, reaching down to firefighter groom with one hand and holding pink flowers in another. Both bride and groom figurines are smiling at each other. 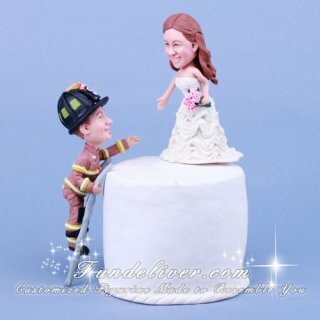 Love this climbing firefighter wedding cake topper? Have similar firefighter or firemen theme wedding? 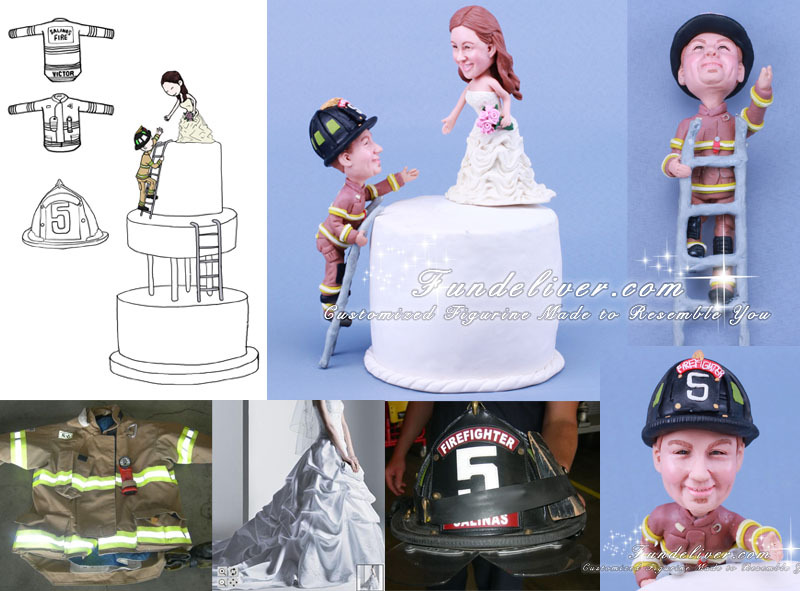 Why not have all your uniforms, smiles or firefighting gears put in your wedding cake toppers?